We stock a range of welding equipment including arc’s, mig wire, electrodes and welding rods which can be used in a range of fabrication applications using mild steel and sheet metal. A full range of accessories and other supplies including helmets, masks & PPE are also available to meet all your welding needs. Welding equipment is vital for any welding operation and we stock an extensive range of welding equipment, welding consumables and protective welding clothing and other items. Welding can be extremely beneficial to a project, providing integrity and strength to many steel structures, frames and constructions. Our welding consumables will ensure that you are well equipped with any situation in which you require welding and our protective clothing will ensure that you are well protected when carrying out this particular operation. 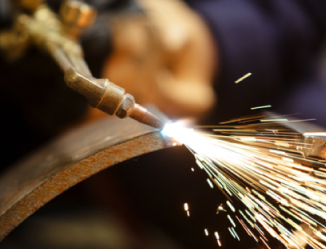 South West Steel offers a wide array of welding equipment and consumables. If you are looking for these products and require a product and price list then do not hesitate to contact us today for a free quotation.